Are you feeling overwhelmed by the presence of unwanted junk? Let JUSTJUNK Tecumseh lend you a hand! Our professional junk pickup Tecumseh team is specially trained to remove anything, from anywhere! We can remove almost anything! We do all the hauling and loading! We take care of all of the work for you – including that tiresome junk hauling – so you are free to sit back and relax! Call our Tecumseh junk removal team to get rid of junk in Tecumseh today! Our Tecumseh junk removal team begins each job with a free, no obligation on-site quote. Simply direct us to the junk located throughout your home, and our team will instantly provide you with a quote! There’s no need for another appointment, if you are happy with the price we are prepared to get to work right away! 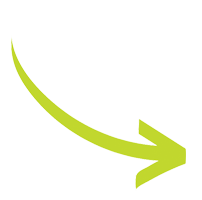 We employ a volume based pricing system, to ensure that you always receive the lowest price for your removal. We only charge for the amount of space that your items take up in our trucks – we do all the lifting, loading and disposal free of charge! All you need to do is sit back and relax as our Tecumseh junk disposal team takes care of everything! Our Tecumseh junk removal team firmly believes in the importance of donating and recycling. Although you may assume the dump is our first stop for junk, we always inspect each load for items that can be reused! Working closely with local charities and recycling facilities, our Tecumseh junk disposal team helps filter quality items out of our local landfills! 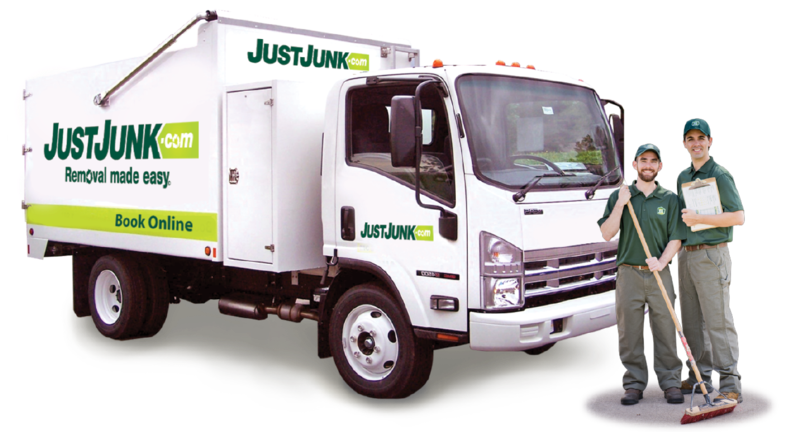 When you are ready to dispose of your items, don’t hesitate to call JUSTJUNK for same or next day service. Book online! 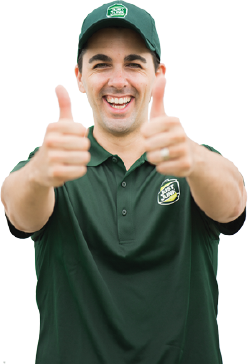 If you have any questions, feel free to contact our friendly representatives at 1-888-586-5888! The guys were Great! They were Very Helpful! A Wonderful job done by All! Thank you, the job that you completed was Exceptional! This is the second time that Dave and his team have helped us during our move. We can count on prompt and friendly service, neat work and a professional attitude. The pricing is great as well. I'm pretty sure that we're looking for things to get rid of just so we can deal with them again!! Excellent service! The men were very friendly and professional. I appreciate that they were very careful not to scratch the wood in my house carrying out the items. I would definitely recommend your service to friends. Thanks! Extremely impressed with dave and his crew. will definitely use this service again! I was very happy with the service. They were efficient and friendly and did everything I wanted done. This is the second time i have used your service and i will be using you again in the future when i have some junk to get rid of. Great customer service. Professional work ethics. Super easy and efficient. Thanks. EXCELLENT display of customer service and professionalism from Pat & Darrell (not sure of spelling there). Prompt, friendly. I don't recall the phone person, but he was helpful as well. AAA+++ service all around. Very efficient, professional and friendly. Exceeded my expectations. Bravo, great job, great crew. Very professional! I was very pleased with work completed, and the professionalism showed while doing the job. I would definitely not hesitate to use the service you provide in the future, and strongly recommend you to friends, family and neighbors. Excellent work, very professional yet friendly. You definitely have a repeat customer here. Thanks for an efficient solution at an affordable price! Your staff was on time, friendly and courteous. The online booking website was straightforward and very easy to use. I would definitely recommend your service to anyone needing large and small items disposed of/recycled quickly and expertly. Would definitely recommend and use the service again. Thank you. Professional and courteous . An excellent experience. The two men were courteous and friendly while at the same time they did the required job with professionalism. Since these two workers are the "face of the company" to your customers then consider these guys as definite keepers as far as your company employees are concerned. Love your service. The guys were extremely friendly and courteous. All I had to do was show the guys what I wanted to get rid of and within 20 minutes it was loaded on their truck and gone. It was fast and easy. I will certainly be recommending you to anyone requiring junk removal. Dino-Score! JUST JUNK Calgary Finds Thousands of Fossils! Our team arrives within a short 2-hour window and provide a 20 minute courtesy call ahead of time. We can remove virtually anything (except hazardous waste). Just point and we do the rest. We partner with local charities and recyclers to extend the life of your junk. Take comfort in the fact that we're 100% licensed and insured for junk removal. You're safe with us.